Theresa has been working on a flyer for the upcoming Sidewalk Sale. Olympia has a treasure trove of antique, thrift, and second hand shops. In my opinion, The Estate Store is a prized jewel. 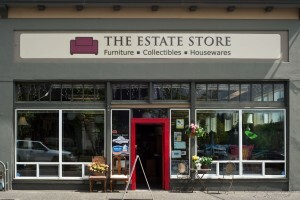 The Estate Store was first thought up by the Senior Services for South Sound activities department in 2011, and was actualized by February 2012. The mission of The Estate Store is “to generate income to support seniors in need by soliciting and accepting donated goods for sale.” Not long after the store opened Theresa Ziniewicz was brought on as a part-time assistant manager. Theresa Ziniewicz, the manager of The Estate Store, prepares to work on a flyer for an upcoming Sidewalk Sale. 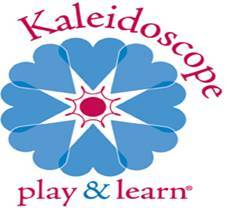 The company Theresa had previously worked for went out of business. During the interim between jobs she was helping her mom at the flea market. 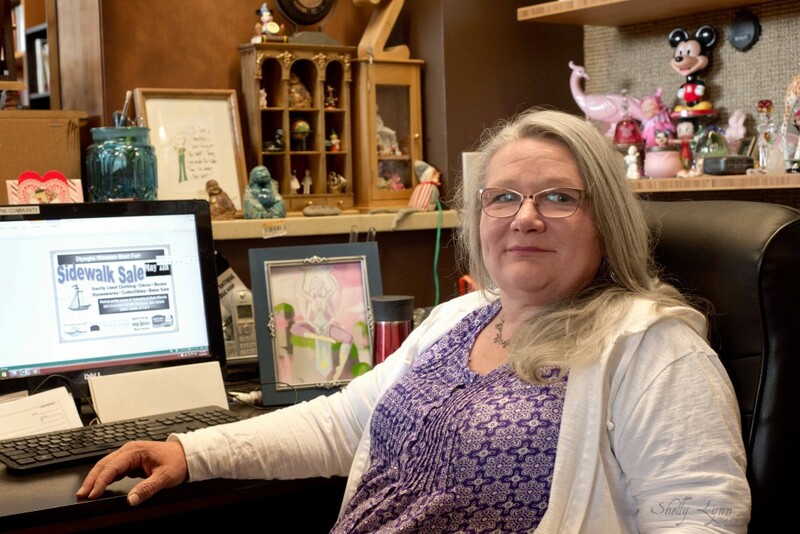 One day she was sitting there, trying to decide what to do with her life, when she said, “Wouldn’t it be wonderful if one of these antique stores downtown would hire me to run their business?” She saw a job posting for The Estate Store online shortly after her time of reflection. 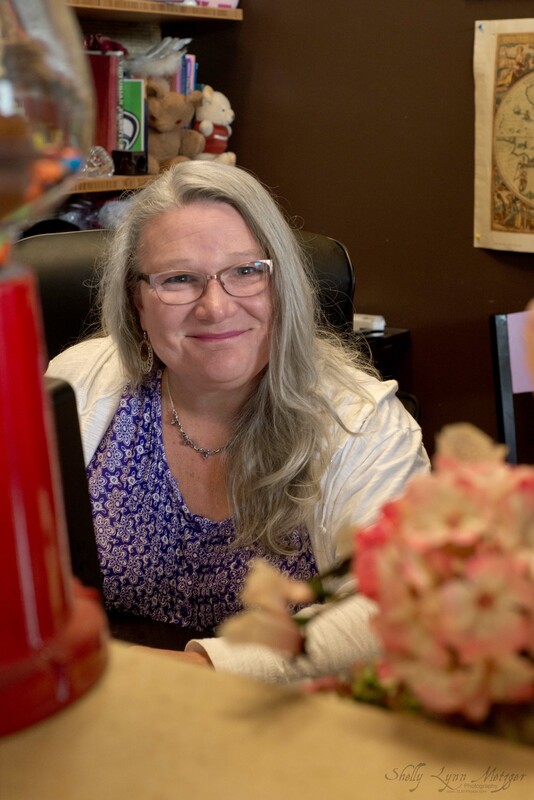 When Theresa heard the vision for the store she recounted thinking, “Are you kidding me?! Yes! This is the right path, this is it.” Coming from corporate retail, she was thrilled to be part of a venture that was invested in helping the senior community. She started working the day after being hired, and is now the full-time manager for both The Estate Store, as well as the sister store, Budd Bay Bargains. All of the profits originally headed to the activities department. Now they are spread throughout all Senior Services for South Sound departments to better serve the seniors. The Estate Store’s profits help fund many resources for seniors, including Meals on Wheels, Transportation Program, Senior Inclusion Program, and STARS (an adult respite daycare). On a rare occasion The Estate Store has even been able to directly help seniors by providing home furnishings after they tragically lost their belongings in a fire. Jeff Olson is inspecting the cleaning rod for a donated flute, before continuing to research what price to assign the flute. And it was with poignant wisdom that she spoke the following insight, “I mean, how do you say it, ‘by the grace of God there go I.’ This will be all of us one day.” She hopes that this store stays open for years, and continues to make enough money to help provide these services for generations to come. The unique flooring was left by the previous tenants, 510 Interiors. 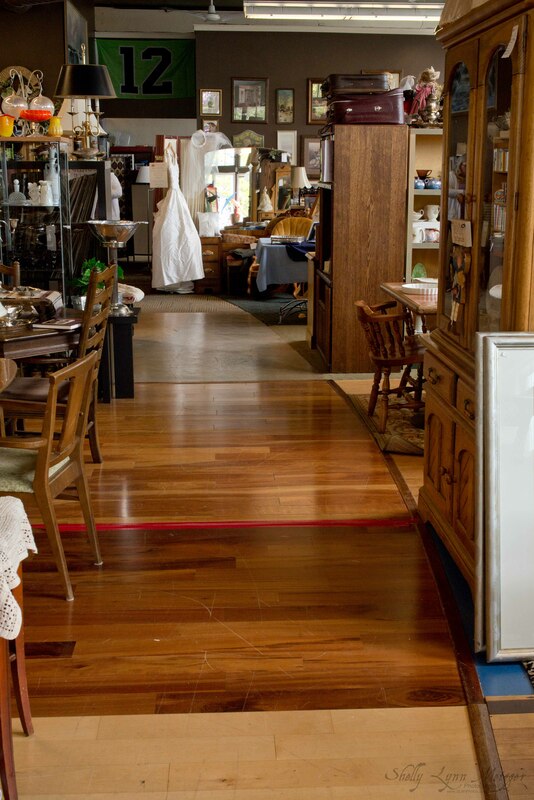 Once receiving an item, Theresa will have it appraised, The Estate Store will sell it, and that person knows their donation went to help seniors. It not only extends the love of that item through a new person, but it adds to the richness of the item’s history. During our interview a woman donated a lovely glass flute with ivy leaves painted on the exterior. Theresa said sometimes people will donate an entire household of goods. It doesn’t mean they can accept everything, but it’s an amazing thing to see people be so charitable. 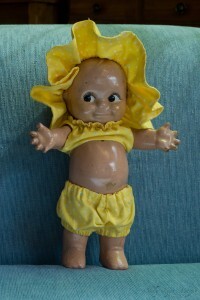 Kewpie is the unofficial representative of The Estate Store. Check their Facebook page to see some of Kewpie’s travels. The Estate Store requests patrons call before dropping off larger donations. They have a phenomenal space in which to display tchotchkes, and utilitarian prizes alike, but in the back they only have an itty bitty storage area, and therefore cannot accommodate for larger pieces at all times. Dressers, sofas, and end tables tend to be of great benefit to the store, so they are certainly interested in receiving them. Sometimes volunteers can pick up larger donations. However, there are a few things that they cannot accept, including, but not limited to entertainment centers, pianos, and electronics. They’ve found that these things don’t sell, and they need to keep the floor space available for things that will ultimately benefit the seniors. When asked what The Estate Store does with other items that don’t sell Theresa explained that they try not to let anything go to waste. Sometimes they donate the items to other charities since being in a new venue can make all the difference. But one of the more fun things they do is incorporate neglected items into their Repurposing Workshops. 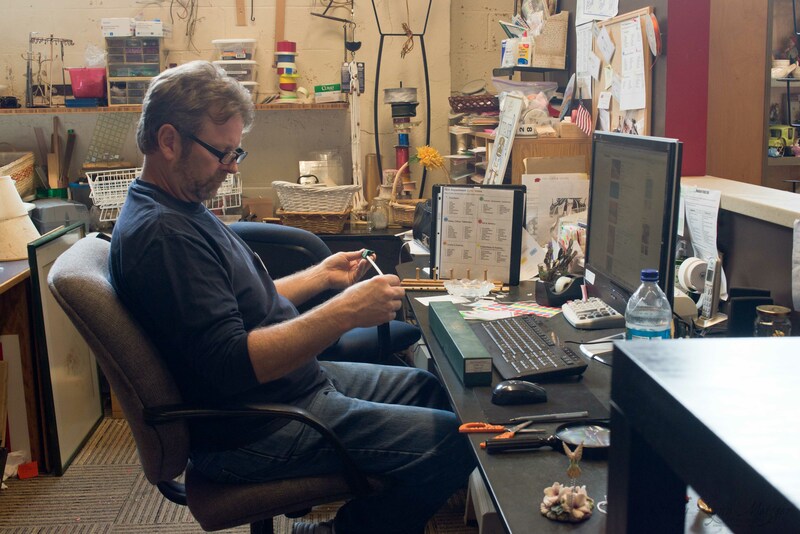 The workshops are open to the community, and take place on the third Saturday of each month. Space is limited so be sure to call ahead of time to reserve a spot. Please also note that there is a variable fee associated with the workshops depending on the cost of supplies. But like everything else for sale with The Estate Store, all of the profits benefit seniors. 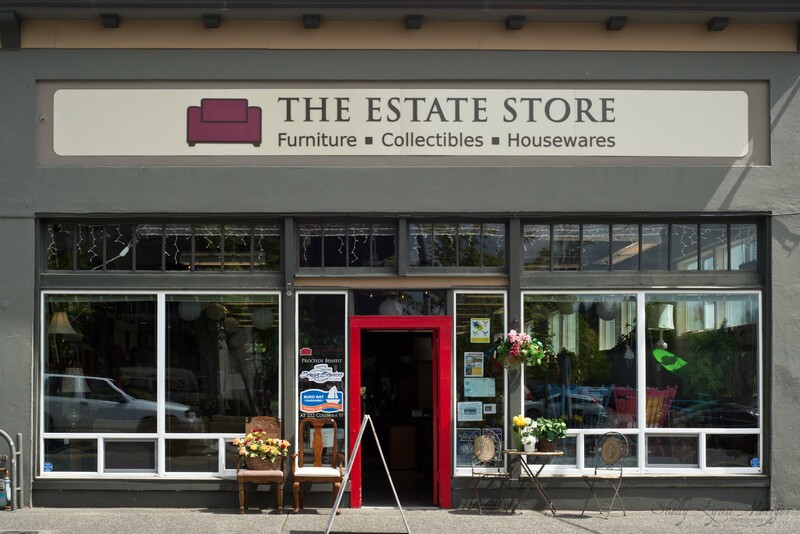 The Estate Store is located at 510 Columbia St, SW, Olympia, WA 98501. Including Theresa, there are only four paid employees with the organization, but it is possible for the store to operate the way it does thanks to the nearly 20 volunteers who invest a few hours of their time each week. 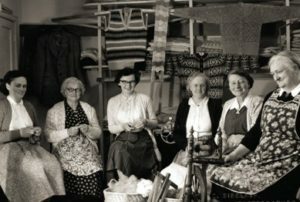 The Estate Store is always taking applications, including volunteers with skills to lead some of the Repurposing Workshops. To learn more, visit The Estate Store online or follow the organization on Facebook. 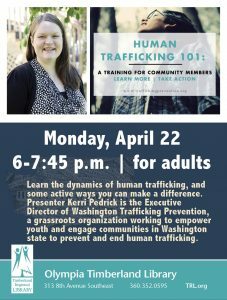 You can call 360-515-0965 with any questions.